This blog is about temari and other crafting and while I aim to get back to the core topic I can't let this wonderful news go unreported. So please do indulge me with this post about Japan. This report appeared in ABC Australia's 7:30 program on the evening of March 29, 2011. Today I have been notified by a friend who works for Apache Energy about their company's efforts to help out with assisting the many children living in disaster areas in Japan. This company has donated AUD$150,000 to Save the Children Australia to assist with their work in Japan. Here is a copy of their email. They have also pledged this to match dollar for dollar any donation more than $30 made by Apache Energy employees to http://www.savethechildren.org.au/ . Apache Energy today presented Save the Children Australia with a cheque for $150,000 to the Japan Earthquake Disaster Relief Fund. Apache Energy’s Australian Managing Director Tom Maher was joined by the Japanese Consulate General Mr Kazuhiko Anzai and Save the Children Australia’s Western Australian State Manager, Glyn Davies for the cheque presentation. Apache Energy has generously supported Save the Children Australia since 2010 across a number of initiatives. 74,000 children were made homeless when giant waves struck the coast of north-eastern Japan after the country was rocked by a 9.0 magnitude earthquake. 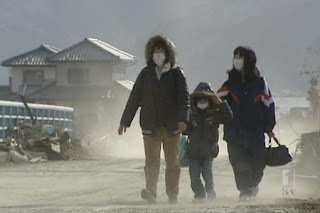 The incident has been described as the most severe disaster in Japan’s history, and has prompted a rapid relief operation by the country’s government. Save the Children has been operating in Japan following the devastation of the earthquake and tsunami along the north east coast. In response to the disaster, Save the Children has established a network of child friendly spaces in the worst affected areas, to assist children most at need. Many children and their families are currently living in evacuation centres, some of which have no electricity or running water. These are protective play areas that provide children with psychosocial support to help relieve their anxiety, and allow them to spend time with other children in a safe environment. Child Friendly Spaces also give parents much needed time that they can dedicate to finding food sources, work, accommodation and locating other friends and family. We hear many stories of greed and unethical deeds in the modern corporate arena but it sure is wonderful to see examples of such generosity like this one. I really think these are the type of news stories that need to be included at the start of our nightly news programs. Well done Apache Energy well done! Thanks for posting a very touching story. The world needs more organizations like this. Bravo!